Cardano (ADA) CEO visited Google — What’s behind it? 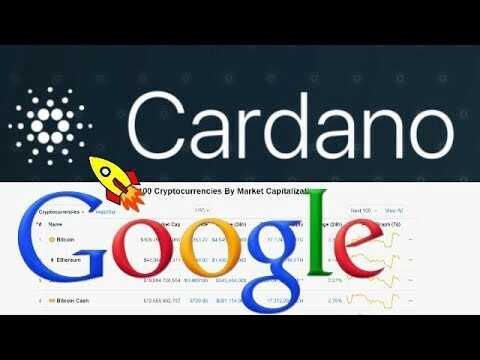 Cardano (ADA) CEO visited Google — What’s behind it? Last month, representatives of IOHK, led by CEO Charles Hoskinson, met with Google to discuss the future of Cardano (ADA) and other cryptocurrencies. In a blog post released on Thursday, June 28, IOHK announced details of the Google Office meeting in London. The curiosity about cryptocurrencies is not only great with potential investors. Above all, companies see great potential in the underlying technology. Google also wants to learn more about the Blockchain technology and got this for the Cardano (ADA) CEO Charles Hoskinson in the house. At the Google headquarters meeting in London, Hoskinson answered questions from Google employees around the world. According to the article, it was mainly about the possible applications of Cardano. Hoskinsons talked about Cardano’s consensus algorithm called Ouroboros and explained the concept of “proof-of-stake” [PoS], which creates incentives for more and more people to join and support the network. The team also talked about the July testing network. This is open to developers who want to participate in the Smart Contracts of the newly launched IELE VM. The team also indicated that full decentralization will be achieved towards the end of the year. What does Google plan to do? Google’s leadership in innovative technology is beyond question. But in terms of blockchain “Google still has to catch up,” said a former Google manager in May in an interview with Business Insider. While Facebook claims to “very seriously” working on a solution to use the blockchain technology for the social media platform, there is so far from Google in terms of Blockchain no comparable statement. 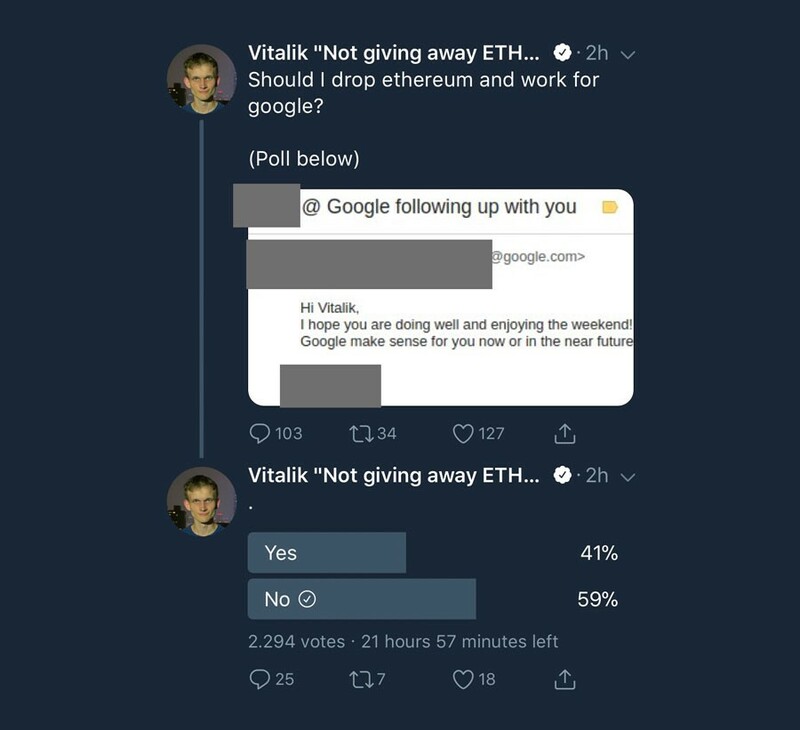 Recently, Google even asked Vitalik Buterin, the co-founder of Ethereum, for a position in the company. Buterin posted a screenshot of the request on Twitter, but publicly showed no further interest in employment with the IT giant. The invitation is certainly a great honor for Cardano and also triggered speculation about a possible cooperation. So far it is not known if Google will work with Cardano.